Discover this full-service Hendersonville, North Carolina hotel providing convenient access to Chimney Rock, DuPont State Forest and the Biltmore Estate. Conveniently located off of Interstate 26 and Highway 64 East in Southwestern North Carolina, the Best Western Hendersonville Inn prides itself on comfortable accommodations, friendly customer service and an ideal location for business and pleasure travelers alike. Each well-appointed guest room at this Hendersonville hotel boasts a microwave, refrigerator, 32-inch Inch flat panel HDTV with premium satellite service with HBO and free high-speed Internet access. Hotel guests will enjoy a variety of full-service amenities including a complimentary full hot breakfast buffet with Starbucks coffee, an outdoor swimming pool, and business services. This pet-friendly hotel also features the onsite restaurant, El Paso, ideal for a quick lunch or dinner before heading off to sightsee. The Best Western Hendersonville Inn offers convenient access to many key area attractions including Flat Rock Playhouse and Chimney Rock. Guests can enjoy beautiful views of the Blue Ridge Mountains while spending the afternoon on a hike or picnic in the DuPont State Forest. Hotel guests will also find themselves less than 20 minutes from the Biltmore Estate and House and the Carl Sandburg Home. The Best Western Hendersonville Inn also provides convenient access to several local events throughout the year including the Hendersonville Apple Festival and the Garden Jubilee. The friendly, helpful staff at the Best Western Hendersonville Inn is ready to ensure a fun-filled memorable stay in Hendersonville, North Carolina. Make a reservation today and save! From: Asheville. Take Interstate 26 East to Exit 49A, Bat Cave. The Best Western Hendersonville Inn is just ahead. From: Spartanburg. 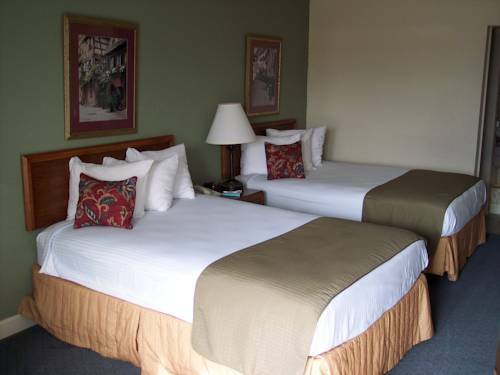 Take Interstate 26 West to Exit 49A to the Best Western Hendersonville Inn.